We are a Tahitian Noni International Independent Product Consultant (in simple terms TNI or Morinda distributor). We ship all around the world, the most famous Tahitian Noni juice and other popular TNI products. 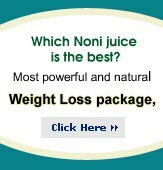 At NoniJuice.us, we make our best efforts to ensure you get products as soon as possible. In USA, we ship Tahitian Noni® Juice and other products from our warehouse in California. Products also ship from TNI warehouse in Utah or Tennessee, depending upon the delivery time to your location. In Canada, Europe, Australia and other countries, you get products shipped from a local warehouse of Tahitian Noni International to ensure faster delivery. Your order is processed on same business day to ensure faster delivery of products to our loyal customers. Any order placed before 12:00 noon MST will be shipped out the same day. Shipment is delivered via UPS and it takes only 3 to 5 business days to arrive. We offer regular ground shipping method for most orders but if you are interested in expedited shipping please contact our office at 1-888-568-6029 for the updated rates. No extra costs/hidden costs. Shipping charges are calculated in a way that give you more of a discount when you order in bulk. If you order a case of more, you can opt for UPS 2 day delivery or UPS 1 day delivery by calling us toll free 1-888-568-6029. This option is not available online and is a PHONE ONLY option to accomodate special requests. All prices are in US dollars (USD). If you are outside of USA (excluding HI, AK, PR Address or APO/FPO addresses) and Canada, the prices to pay may be different in your local currency. Please call or email us your complete shipping address to know the exact prices in your country. If you have any further questions or concerns feel free to contact us.